London’s Disco Bloodbath launches its long awaited label this June with the raw, unbridled house of ‘That Ain’t Right’ by co-founder Damon Martin and backed with remixes from Waze & Odyssey and Legendary Children. 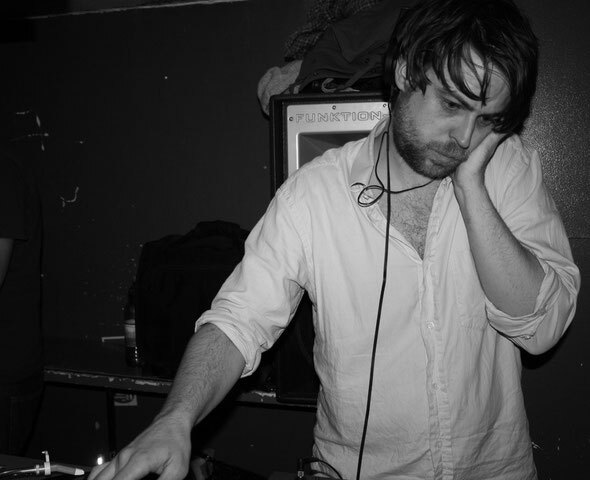 Disco Bloodbath began life in 2007 as an irregular speakeasy party in the basement of a Caribbean restaurant in East-London, the brainchild of its resident DJs Damon Martin, Ben Pistor and Dan Beaumont (now ex-Bloodbath). Since then the collective’s raw disco, spaced out Italo, vintage house and proto-techno have taken the Bloodbath sound across the world while making some exceptional remixes for the likes of Franz Ferdinand, Little Boots, The Aliens and White Lies. 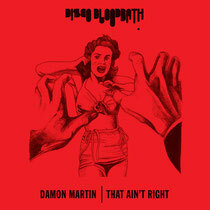 Disco Bloodbath Recordings’ first outing see’s Damon Martin crack out his TR909, Juno60 and sampler for a succinct, emotional slice of club music that tips a respectful nod to the USA’s finest proponents of House with a capital ‘H’. Waze & Odyssey, riding a wave of hype for output for Scucci Manucci and Body Work, don’t disappoint with the first remix. Self-confessed Todd Terry and MK devotees, the Canadian duo do their inspirations proud with a brilliantly executed interpretation that updates and respects the original in equal measure. Closing the EP is a remix from Legendary Children, who serve up an acid tinged, roughed up warehouse version that betrays their predilection for sound-systems, basements and ‘proper’ music. Out 18th June on vinyl, 2nd July on digital.